An evening of Funk, Soul, and Latin-Jazz! 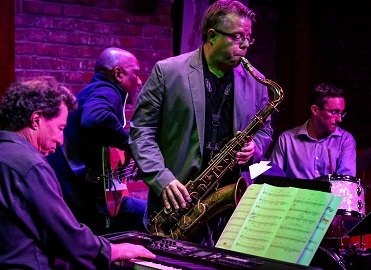 Having performed with the likes of Stevie Wonder, The Temptations, Usher, Four Tops, Adam Levine, Taj Mahal and more, Steve Torok brings his funk-sax and stellar musicianship to Temecula’s Stage. Fronted by a SoCal all-star band, the Collective performs originals, along with Steve’s high-energy arrangements, which have been performed for/by American Idol, LucasFilms Ltd., Fred Wesley, Kenny G, and Mike Stern, among others. This evening will be sure to have you in the groove.